Manage your research and citations with free citation management software. Zotero and Mendeley both allow you to download citations and articles from various websites and databases, electronically store and organize the citations, annotate and highlight articles, and format the citations for your paper and bibliography. This workshop covers the advantages and disadvantages of Zotero and Mendeley, helping you decide which one is right for you. This workshop is led by librarian Michael Bowman on Tuesday, April 23rd from 4:00 – 5:30pm in room 160. On February 28th, 2019, the University of California System announced that it had ended months of contract negotiations with Elsevier Publishing and has terminated all subscriptions. According to a UC System press release, “Elsevier was unwilling to meet UC’s key goal: securing universal open access to UC research while containing the rapidly escalating costs associated with for-profit journals”. Portland State University participates in a cooperative Elsevier contract with Oregon State University and the University of Oregon, which expires in December 2020. Leading up to that, PSU Library will work closely with PSU administration and the Faculty Senate Library Committee, looking at usage data, costs, and information about PSU faculty publishing in Elsevier journals. We are committed to engaging PSU faculty, researchers, and students about issues pertaining to our Elsevier contract, including the role of Open Access (OA) at PSU. 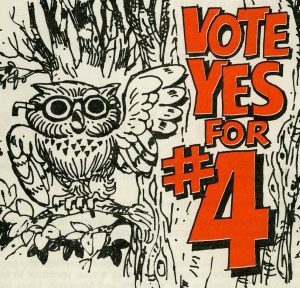 We would also like to remind that PSU Faculty Senate has recently approved an Ad-Hoc Committee on Open Access for Faculty Publications, which will also address the broader issue of OA at PSU. If you have any questions or concerns, please feel free to contact Tom Bielavitz, Interim Dean, Library bielavit@pdx.edu. Portland is a great city for writers! Portland is a great city for readers! Portland is a great city for local publishers! The PSU Library regularly purchases books published by numerous local publishing houses. This Spring Break, go on an adventure with the help of the library by exploring the following publishing houses & titles available to you. This is the 20th open textbook published through the PDXOpen Publishing Initiative Grant Program. These twenty textbooks have been downloaded more than 121,000 times in countries all over the world. These open access, openly licensed, digital textbooks are free to students at Portland State and to people around the world. The annual report from PDXScholar shows the growing and continued impact of the work of Portland State University faculty, staff, and students. Portland State University Library released its annual report today, with several notable highlights, including a new benchmark: in 2018 alone, there were more than one million downloads of works from PDXScholar. The year also saw a dramatic 35% increase in full text downloads, from 874,129 in 2017 to 1,182,021 downloads in 2018. PDXScholar items were downloaded by people in 228 countries and accessed by people at more than 32,570 institutions worldwide. As of January 8, 2019, there have been more than 3.7 million total downloads of items from PDXScholar. 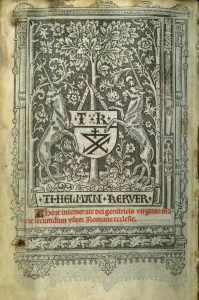 This year, the Library also published four new open access textbooks and digitized 371 Portland State theses and dissertations. 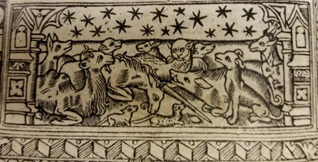 PDXScholar, a service of Portland State University Library, provides access to a diverse collection of academic, scholarly, scientific and creative content produced by faculty, students and staff. PDXScholar increases the visibility of authors’ works, maximizes research impact, facilitates interdisciplinary research, and provides regional and global communities with immediate and permanent access. See more information in the PDXScholar Annual Report for 2018. This map shows the distribution of PDXScholar downloads, with heaviest concentrations in North America, western Europe, and India. We have so many books at the Library! But do we have your textbook? The answer is: it depends. We know you want to save money on your books this term, so here are some ways to figure out if the Library has your book. Instructors sometimes place textbooks and other course readings on reserve in the Library. We have both paper reserves (physical textbooks, for example) and electronic reserves (online articles and ebooks). You can borrow print books at the Circulation Desk on the Library’s first floor. Search for course reserves by book title, course number, department, or instructor name. PSU Library may own a copy of a textbook but your instructor has not placed it on reserve. You may borrow this book from the Library. If PSU Library doesn’t have the book, it may be available at a Summit library (Summit is a partnership of academic libraries in Oregon, Washington, and Idaho). You can request books from Summit (for free!) and, if available, they usually arrive at the PSU Library Circulation Desk within a few days. You may borrow Summit books for six weeks. Search the catalog to find books at PSU and Summit Libraries. PSU Bookstore is your first stop for textbook purchases, of course. Looking for something else at the Library? The Library catalog is your starting point to find books, ebooks, articles, journals, streaming videos and other media, and much more. Log in with your ODIN to see all the resources available to you. Please Ask a Librarian for help. Note: we are unable to request textbooks through Interlibrary Loan. 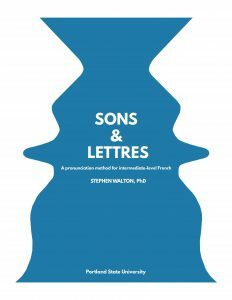 Portland State University Library is pleased to announce the publication of two new open textbooks, Beginning Japanese for Professional: Book 3 by Emiko Konomi and Sons et lettres: A French Pronunciation Method for Intermediate-level French by Stephen Walton. Beginning Japanese for Professionals: Book 3 is designed for beginning learners who want to learn basic Japanese for the purpose of living and working in Japan. Unlike textbooks written primarily for students, in which the content largely centers on student life, this book focuses on social and professional life beyond school. 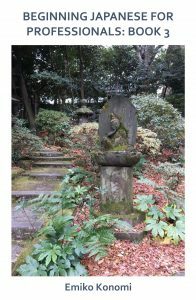 This is the third book in a three book series authored by Emiko Konomi. Beginning Japanese for Professionals: Book 1 has been downloaded more than 65,500 times since its publication in 2015. Sons et lettres provides a set of classroom materials to train students to hear and produce the sounds of French and to recognize the regular spellings used to represent those sounds in print. The materials are inspired by a desire to help students feel more confident about their French pronunciation and more at home saying the many French words, familiar and unfamiliar, which they encounter in their studies, in French media and in their travels. This textbook has an associated website, which is an integral part of the method. These books bring to 19 the total of textbooks published through the PDXOpen Publishing Initiative Grant Program. These nineteen textbooks have been downloaded more than 100,000 times in countries all over the world. 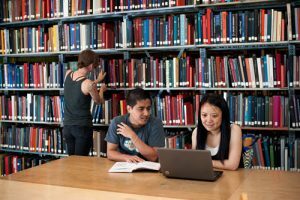 These open access, digital textbooks are free to students at Portland State and to people around the world. 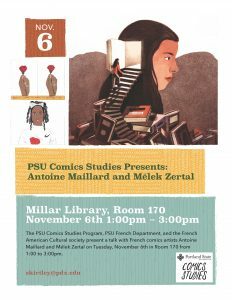 The PSU Comics Studies Program, PSU French Department, and the French American Cultural society present a talk with French comics artists Antoine Maillard and Mélek Zertal.